Natasha Bullock, Look , 'Harold Cazneaux: artist in photography', pg.28-31, Sydney, Jun 2008, 31. Mark Hinderaker., The Sydney Morning Herald , 'Tangled forest of works inspire reflection and creativity', Sydney, 06 Jan 1983, (illus.). John McDonald, Federation: Australian art and society 1901-2001 , 'The land', pg. 36, Canberra, 2000, 61 (illus. ), 253. Spirit and place: Art in Australia 1861-1996 , Sydney, Nov 1996, 39 (illus. ), 145. 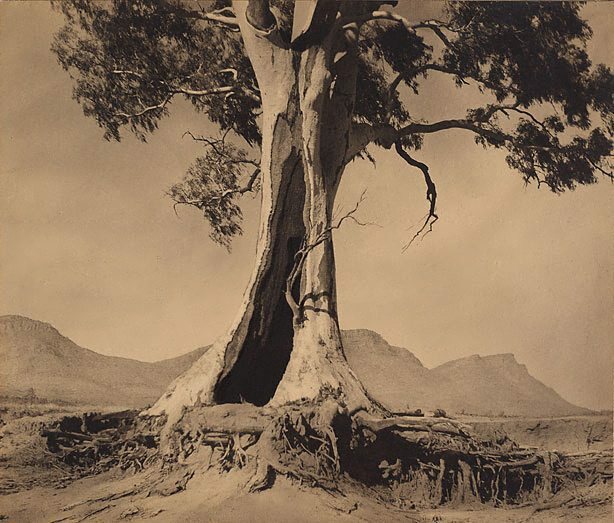 Steven Miller, Photography: Art Gallery of New South Wales Collection , 'Australian pictorialism', pg.71-91, Sydney, 2007, 90 (illus.). The Cazneaux Women , 'The wheel of life 1930s-1990s', pg.108-133, St Leonards, 2000, 115. Portrait of a Gallery , 'Photography', pg. 48-55, Sydney, 1984, 51 (illus.). Photography and Australia , London, 2007, 64 (colour illus.). The photograph and Australia , Sydney, Jun 2015, 101 (colour illus. ).